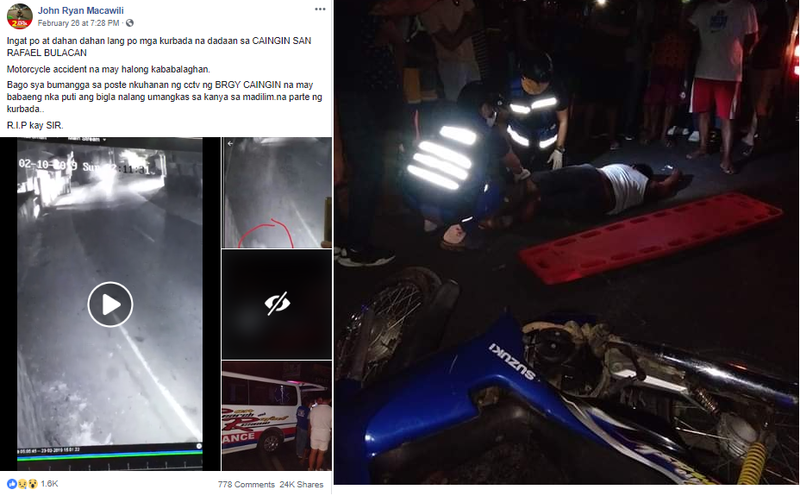 A horrifying footage caught on CCTV system in San Rafael Bulacan, has captured the alleged spirit riding at the back of the motorcyclist moments before the accident happened that kills the rider. 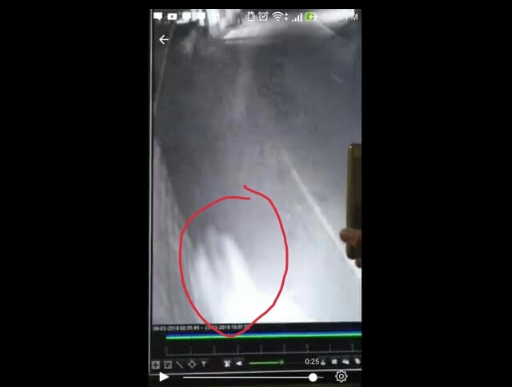 On the video it shows a motorcyclist passing through a dark road when a camera captured a kind of smoky white color in a form of a lady riding at the back of the rider. Motorcycle accident na may halong kababalaghan. Bago sya bumangga sa poste nkuhanan ng cctv ng BRGY CAINGIN na may babaeng nka puti ang bigla nalang umangkas sa kanya sa madilim.na parte ng kurbada.. Some viewers believe the glowing women in form could be a spirit of a dead human being or even the initial manifestation of a ghost.